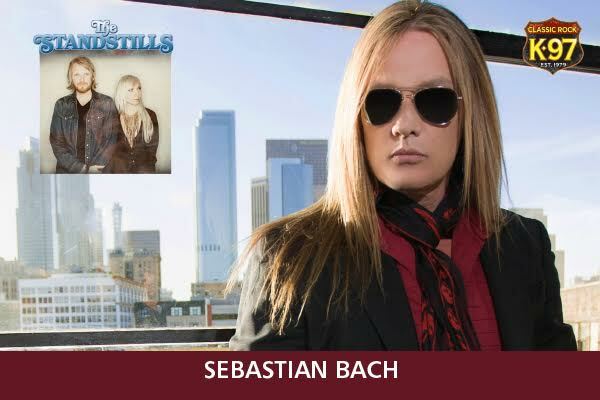 Century Casino presents Sebastian Bach with The Standstills, on June 22nd! SEBASTIAN BACH, the original voice of Skid Row, has over 20 million records sold, both as the lead singer of Skid Row and as a solo artist. Known for hit singles "I Remember You", "Youth Gone Wild" and "18 & Life". THE STANDSTILLS are a Canadian rock duo featuring a mix of western, blues and rock n' roll music. Tickets are $49.95 plus gst, available at Century Casino and Ticketmaster. Doors at 7:00pm. Show at 8:00pm. GENERAL ADMISSION Seating. No Minors.